Hola! Siento mucho haber sido poco constante este mes. Me he dejado llevar por el verano y el relax... ahhhh que rica es la playa, que refrescantes son las claritas y que maravilloso es el mar Mediterraneo. Hello guys! I'm sorry to have been a little lazy with my posts this month. You can blame the summer cause i´ve been speding all my weekends at the beach or at the terrace with my family and friends :)! 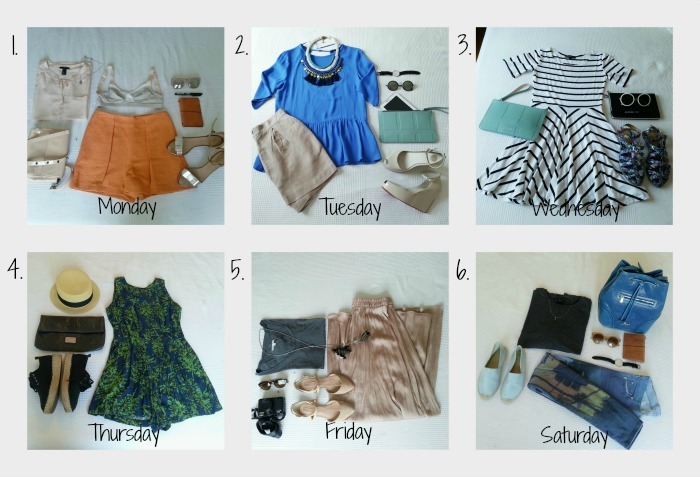 Before starting the week i´ve try to make some outfits for work to have an idea of what i am going to wear and for not spending much time thinking about it every morning. I think it could be very usefull if you are planning to do an inventory or pretending to use all your clothes every season. Sometimes I change some pieces, so if you want me to change something just give a shout ok?